It was 2008. I sat in a windowless conference room in one of the original Facebook offices in downtown Palo Alto. As part of the seed investment group fbFund, we’d screened hundreds of applicants and selected a handful to interview and evaluate for funding. Before us was a bright excited entrepreneur setting up his laptop to pitch his idea. With curly blonde hair, an easygoing smile, and a suit jacket with sleeves that were too big, Logan Green told us about Zimride, the startup he had founded with John Zimmer. Zimride was a social carpooling app that used your Facebook connections to match people traveling in similar directions. I remember thinking their numbers didn’t blow us through the roof. Their idea was unique, but not revolutionary. But it felt right. We took the chance. Our team invested then, and again in 2009. Later, Zimride would become Lyft. And last week, it became the first fbFund company to IPO, valued at over $24 billion dollars. fbFund was a program championed by Chamath Palihapitiya, now the managing partner at Social + Capital. It blossomed from the idea that in our era of technology and creativity, a little investment could go a long way. At the time, we had $10 million to support companies that could demonstrate value by adding social integrations to their products. The money came from Founders Fund and Accel, but was administered by Facebook. Our seed investment team was small but mighty. I was a Facebooker in my early twenties with little investing experience. My Facebook teammate and I vetted most of the deals, along with Justin Fishner-Wolfson at Founders Fund and Andrew Braccia at Accel. Final approval was given by Peter Thiel and Jim Breyer, the top of Founders Fund and Accel at the time. We had all-star advisors with Josh Kopelman, who founded First Round Capital, Reid Hoffman from LinkedIn at the time, and Rajeev Motwani, an early investor in Google. Later our team formed one of the first few incubators called fbFund REV in 2009. Our fund gave a little bit of money, facilitated classes with industry luminaries, and created our own mentor council. At the end of a 10-week period, the companies presented at our Demo Day, where many of them scored their first institutional investors who helped them get to the next level. Although my Facebook teammates and I didn’t have carry in the fund, we felt we had one of the best jobs: to give people the funding to pursue their dreams. When we were getting started with fbFund, venture capital was a different space. We were in a recession, and it was hard to get off the ground. Y Combinator and Techstars had just gotten started, and there were a few angels milling about — many of whom went on to start their own funds later. All in all, there wasn’t much money for VC seed investment floating around. We were sailing relatively uncharted waters. Through the next three years, fbFund funded more than 50 teams, and I learned a lot through the process. 1. Diverse teams pick diverse founders. Despite all the efforts to fund more diverse teams in the last few years, there hasn’t been much change. Only about 2% of all VC funding went to women-led teams in 2018, and that’s slightly down from 2017. Most recently, we’ve seen a few more women join the Unicorn ranks, with Rent the Runway and Glossier pulling in billion dollar valuations, but as of May 2019, still only 14 out of the 130 venture-backed Unicorns were led by women. We didn’t intentionally set out to invest in diverse teams with fbFund, but because we had different perspectives and networks on the team, the companies we funded naturally reflected those views. It’s proven that investment firms with women invest in more female founders. Our team at fbFund demonstrated this notion too. Many other Facebookers sourced teams and helped, but our initial funding team was always primarily female — up to 75% of the team at times. Wildfire, which sold to Google in 2012, was founded by Victoria Ransom with her co-founder Alain Chuard. Taskrabbit, which sold to IKEA in 2017, was founded by Leah Busque, who kickstarted much of the sharing economy. Leila Janah, who runs a family of products and programs like Samasource, Samaschool, and most recently LXMI, was also part of the program. People often talk about seed funding as if there’s some secret formula to it. In reality, it does take a great deal of skill, but luck plays a big part too. You’re in the right place, at the right time, with the right resources. The only factor you can really control is who you fund. Yes, it’s better if there’s a new platform and your team is first to market. Yes, it’s better if it’s a multi-billion dollar market. Yes, it’s better if you don’t hate the idea. But seed funding is a shot in the dark. Often, seed funding is taking a bet on a team before there’s any meaningful data. They have an idea, a founding team, and a small sliver of proof that their idea could work. Our bet back in the day was on Logan and John. It took a meaningful pivot, years of hard work, many other investors, partners, and friends supporting them, and 11 years to get where they are today with Lyft’s IPO. Therefore, your only bet as an investor should be on the team and how resilient you think they’ll be. How many times do you think they’ll try before they give up? How many pivots will they endure? How smart will they be with your money? Quite frankly, how much do they like pain? Startups in the seed stage are subject to change. The only thing you can rely on to remain constant is the character of the people you’re investing in. 3. Funds run by your platforms are useful. We were not VCs during fbFund, although our team operated like investors. Most of us were employees of Facebook. 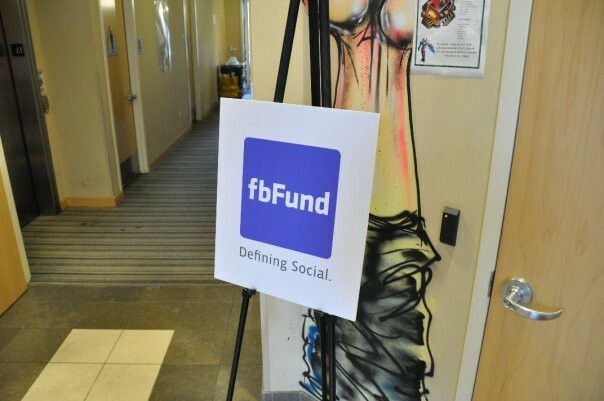 Like our mantra, we were “Defining Social.” The fund was our opportunity to help designate and foster spaces where we, like our social tools, could make huge impact. Although a lot of big companies were interested in integrating social, they didn’t know how. We were looking for companies that could signal the industry and help people understand what big ideas were on the horizon. As product people and marketers, we’d fund teams that traditional VCs might overlook. Rather than looking for the next billion dollar company, we were building the platform for the next billion dollar companies. It was a great way to get early feedback on our platform’s ecosystem and figure out the next set of features to build. 4. Investment takes time…. a lot of it. To survive is to succeed. To invest is to be patient. With seed funding, you generally make your bet when the team is two to four people. In a year, your “succeeding” teams will come back and say, “We’ve doubled!” Heck, if they’re really good, maybe they’ve tripled. That now means that team is four to twelve people. They’re likely still bleeding money and might not have a product in market yet. Every year after that, they say something similar, maybe now they’re 8–36 people, and they have a product in market that’s doing something. Are you winning now? It’s hard to say. And we’re not alone in playing the long game. Prominent incubator, Y Combinator also recently saw their first IPO last year when Dropbox debuted — 13 years after they were founded. Perhaps my biggest learning of all? Startups are unpredictable. There’s no pattern to look for in a founder’s background or cookie-cutter pitch deck that can indicate a business’s success. Often, the most outlandish ideas and the most unassuming founders are the ones that make the biggest splash. As an investor, you have to go with your gut and remember: It’s not a sprint. It’s a marathon. While the the founders you bet on are out making breakthroughs, falling down, and picking themselves back up, all you can do is provide whatever help you can along the way. I’m glad we were part of their journey, even if only a small part. So here’s to Lyft, fbFund, and all the startup founders and venture capitalists out there as they fearlessly pursue their passions and pave the way for a future of diverse and courageous leaders. Congrats, Lyft, on your IPO! *The views expressed above are mine only and are not those of Facebook, Accel, Founders Fund or any other parties. Founder @ Tara&Co, ex-Facebooker, traveler, and dancer.